As the last days of the presidential campaigns wind down, each team has presented its program and plans and now we citizens are supposed to choose one of the candidates to vote for. This is the duty of eligible citizens and it is also an important religious responsibility. Islam is concerned with all aspects of human life and commands all Muslims to Baiaat for governance. Baiaat is similar to voting. Our prophet’s own words told us how important it is to take part in choosing an Islamic government. As Muslims we should follow the speeches of our prophet. Afghanistan has only started the process of democracy and come out of the vassal mode of living in the last ten years. After years of war and violation of basic human rights, we Afghans can benefit from our rights by experimenting with democracy. The democratic citizenship process is new in Afghanistan and it needs to be supported and strengthened by all Afghans. Without active and public participation of all Afghans, progress as citizens is impossible. To vote and take part in the social and political process in our homeland is a prerequisite of a democratic government by the people. 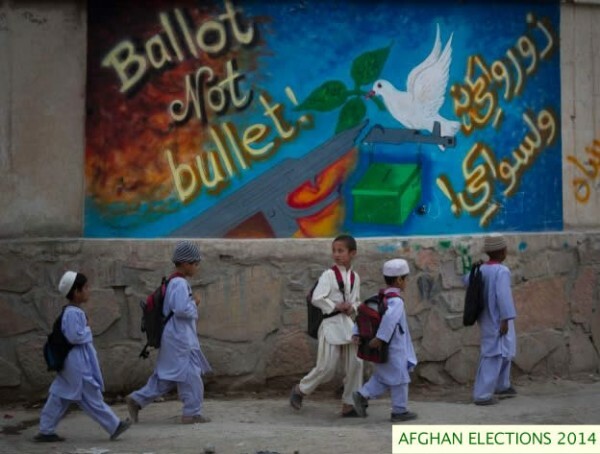 If a citizen of Afghanistan does not want to support any of the candidates in this election, it should not prevent them from voting in this election. You can vote a “white vote” or a protest vote. If I cannot decide on a candidate, I will vote the white vote. It shows that you are a citizen of Afghanistan and that the fate and future of Afghanistan are important to you. Zahra — Thank you for writing this well written essay about the importance of voting in the election. I hadn’t realized it was possible to vote without supporting a specific candidate. This seems to be a valuable option for many. I will be watching the news and waiting to see what happens on Saturday. This is a great essay! I especially liked your explanation of how voting is like the Islamic duty of Balaat . It would be interesting to learn more about Balaat in contexts different from voting. Voting a white card is a serious statement. It makes me wonder what you think is wrong with candidates and who you would like to vote for. Maybe you could write another essay on why you voted “white”. Zahra: Thank you for this essay – I learned things that I did not know before about the concept of Balaat and the protest vote. You helped me understand what it is like to vote in Afghanistan and did a better job of explaining these concepts and ideas than most news media!